The monsoon-led dengue menace has increased 30-fold in the last 50 years, and India’s worry to tackle the menace is not subsided by the fact shared by WHO; 19 percent of total dengue cases in 2013, out of the total 39,89,35 dengue cases in South-East Asia Region in 2013, 75,808 cases were in India. India is a member of the SEAR, hence under the measurement radar of WHO for global report on dengue cases. 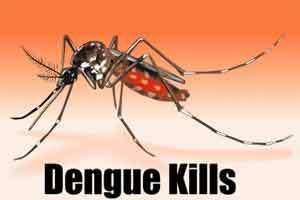 Elaborating on the government’s plans to curb this water-borne menace, the Minister of State for Health Shripad Naik is reported to have said that new national guidelines for effective clinical management of dengue fever is under currently under progression. It has been developed, and is now shared with the state ministers, implied Naik. The government has approved a plan by committee of secretaries which has been sent to states for implementation for prevention and control of the disease. He said that the number of Sentinel Surveillance Hospitals (SSH) with laboratory support has been increased to 499 across the country while test kits are provided to these institutes through National Institute of Virology (Pune) free of cost. The Minister said that the government also issues regular advisories to the states and in 2015, advisories were issued from Union Health Minister to all Chief Ministers, union health secretary to all chief secretaries and DGHS to all state health secretaries. He said that periodic reviews too are conducted by the Ministry to take stock of preparedness and respond to emergency situations.